According to the biblical Book of Judges, Yael, sometimes spelled Jael, was the wife of Heber the Kenite. She is famous for killing Sisera, an enemy general who was leading his troops against Israel. Yael's story begins with the Hebrew leader and prophetess Deborah. When God told Deborah to raise an army and deliver Israel from Jabin, she commanded her general, Barak, to assemble men and lead them into battle. However, Barak protested and demanded that Deborah accompany him into battle. Though Deborah agreed to go with him, she prophesied that the honor of killing the enemy general would go to a woman, not to Barak. Jabin was the king of Canaan and under his rule, the Israelites had suffered for twenty years. His army was led by a man named Sisera. When Sisera's army was defeated by Barak's men, he fled and sought refuge with Yael, whose husband had been on good terms with Jabin. She welcomed him into her tent, giving him milk to drink when he asked for water, and giving him a place to rest. But when Sisera fell asleep she drove a tent peg through his head with a hammer, thereby killing him. With the death of their general, there was no hope of Jabin's forces rallying to defeat Barak. As a result, the Israelites were victorious. Most blessed of women is Yael, the wife of Heber the Kenite, most blessed of tent-dwelling women. He asked for water, and she gave him milk; in a bowl fit for nobles she brought him curdled milk. Her hand reached for the tent peg, her right hand for the workman’s hammer. 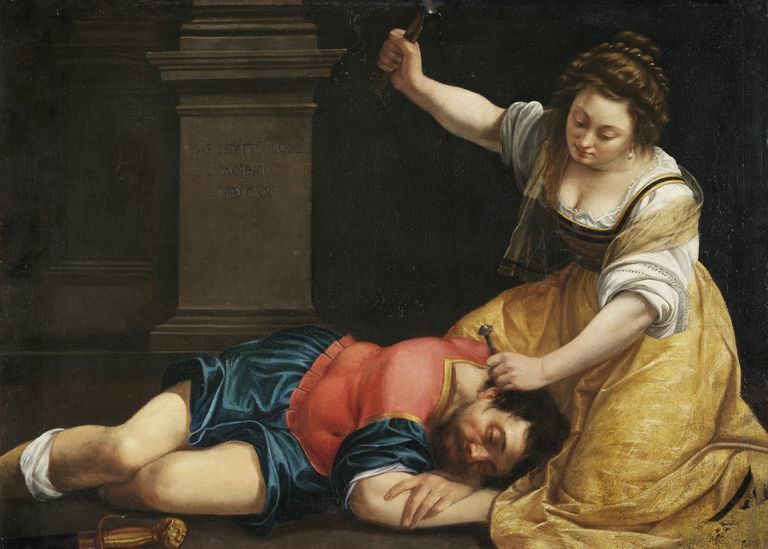 She struck Sisera, she crushed his head, she shattered and pierced his temple. At her feet he sank, he fell; there he lay. At her feet he sank, he fell; where he sank, there he fell—dead. Today, Yael is a name that is still given to girls and is especially popular in the Jewish culture. Pronounced ya-EL, it's a name of Hebrew origin that means "mountain goat," specifically the Nubian ibex. A more poetic meaning that has been given to the name is "strength of God."